Pick one of three possible settings before deciding how many types of birds to make for your quilt. Setting 1: A Bird's Life: size: 42½" x 48½". Cover-quilt: features both flying and sitting birds in a landscape. Setting 2: Birds in Flight: size: 42½" x 42½". 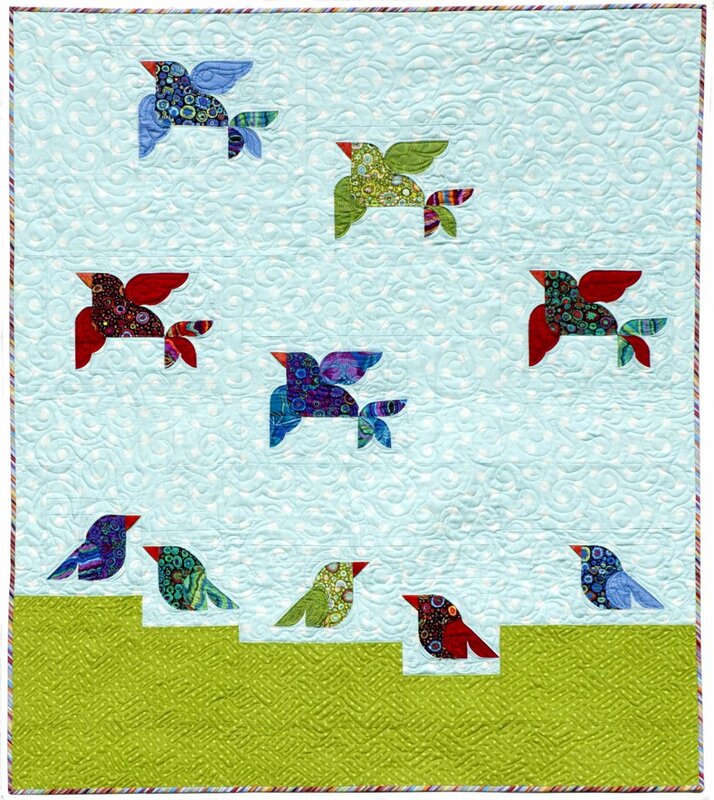 This smaller quilt features only flying birds and makes a fun wall-hanging or children's quilt. Setting 3: Sitting Pretty: Option 1: size: 42½" x 16½". This table runner features only sitting birds. Option 2: size: 46½" x 22½ ".